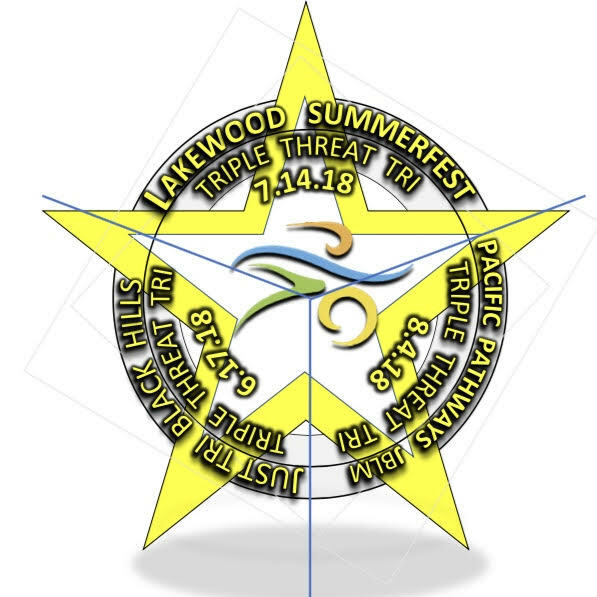 ***If you have signed up for the triple threat series please remember you do not need to sign up for the Summerfest triathlon- you’re already in! Make your triathlon experience a TRIFECTA of fun! This is three triathlons that take place in the South Sound from June-August. Triple Threat athlete Steve Collins was the 2015 winner of the Cervelo P3 bicycle donated by Speedy Reedy. The Black Hills Triathlon in Lacey June 16 (USAT), Lakewood SummerFEST Triathlon July 13, and Bonney Lake Triathlon August 31 (USAT). Sign up and complete all three triathlons and you’ll receive a discount on the races, special TRIPLE THREAT medal and entry into a raffle for an amazing prize. All athletes registered for the Triple Threat series will be eligible and you must be present at time of drawing to win. 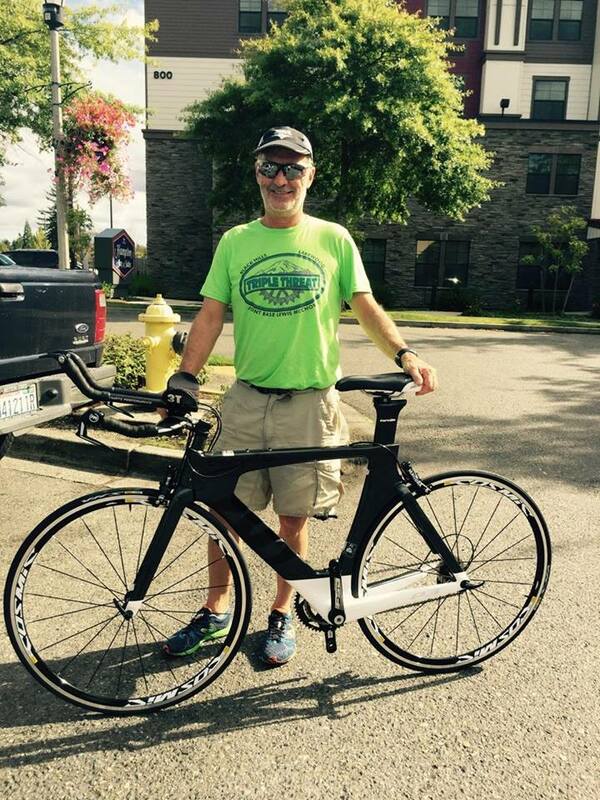 Drawing will be held at the Bonney Lake Triathlon. Athletes love the Triple Threat Triathlon Series Medal. As you complete each tri, you will are awarded with one piece of the medal. Complete all three triathlons and your pieces will snap together to create the FULL MEDAL! How cool is that?! ?